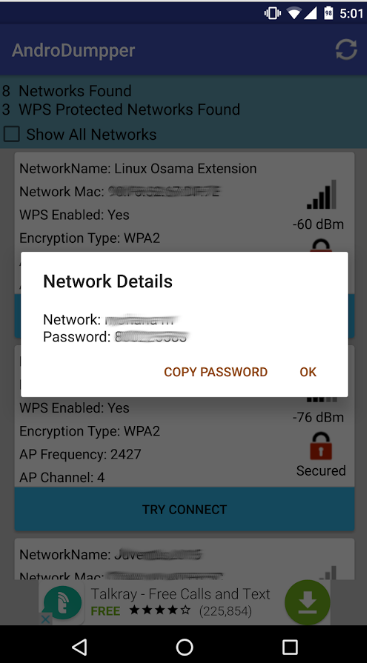 Hack WiFi Password Using AndroDumpper: AndroDumpper is an Android app that can hack wifi password with WPA or WPA2 password (WPS enabled). It is easily available to download from play store. 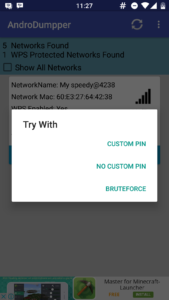 AndroDumpper does not require to root your smartphone for Android 5.0. Hence, it can run on any mobile device having Android 5.0 or higher. For Rooted device: It supports all rooted device with all Android versions. For non-rooted device: Only supports Android 5.0(Lollipop) or higher. 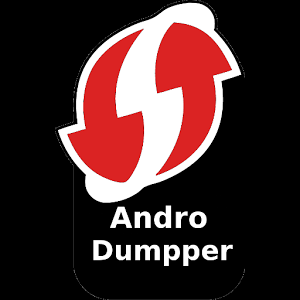 You will need to download the latest version of Androdumpper. Download it from the link below or directly from Play store. 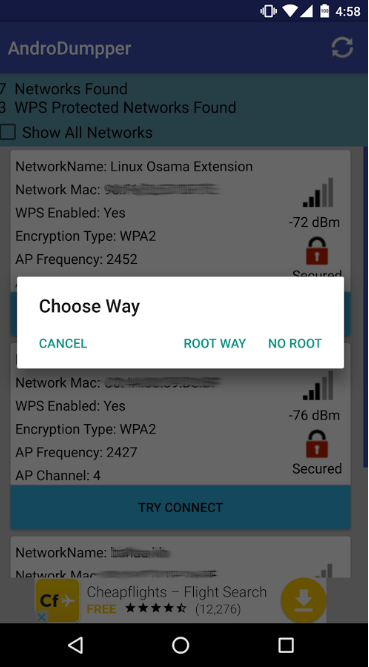 Enable your Wifi on Android device. Go to settings and enable your WiFi. Open AndroDumpper in your smartphone. 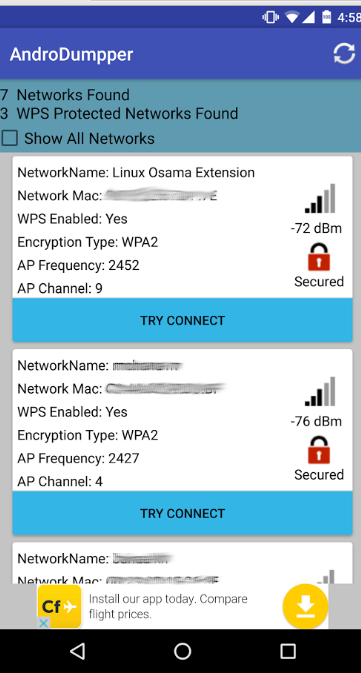 Scan for wifi networks. Check to show all networks. You can see all the networks available. Note that you can only connect to a WPS enabled network. Look for a WPS enabled network. If you find one, try to connect it. Choose a way, Rooted or Non-rooted. If you have a rooted mobile then choose “rooted”, else choose “non-rooted”. Then choose one ‘Try With’ method. It will try to connect to the network. Soon you will see the network details. It will show the password of the network. Copy the password and connect to that network. AndroDumpper is an awesome android app. I am using it for a long time and it will work great for me.